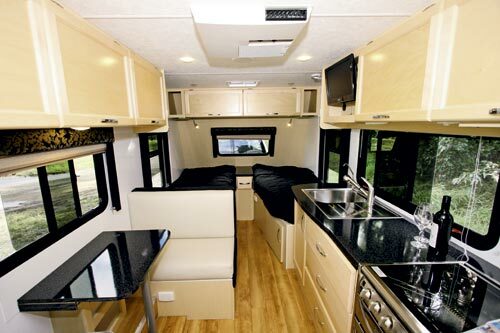 The Talvor 565A caravan is made in America but was designed locally to handle the varying extremes of the Australian continent. 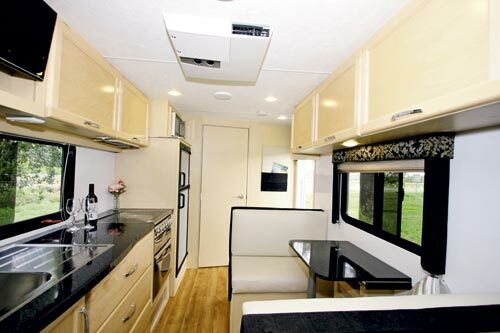 They do things a bit differently in the States and this Talvor caravan merges the best of both worlds. At 5.83m (19ft 2in) in length, the 565A is not a small van but it doesn’t look particularly large, either. 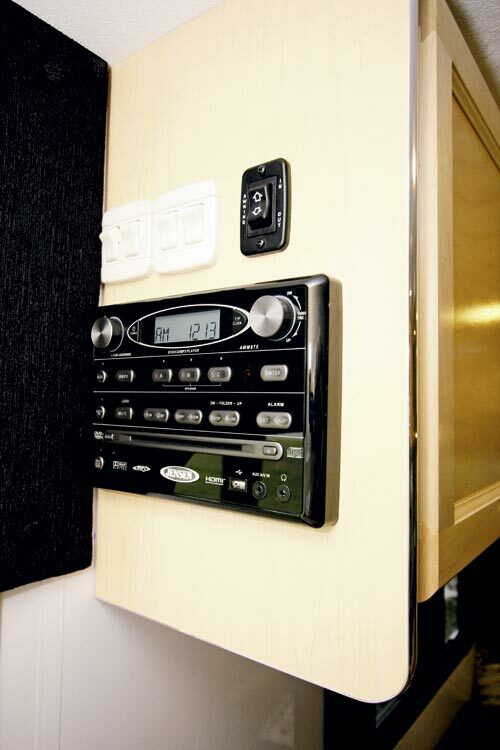 The Talvor 565A’s body structure consists of composite panels with internal framing. Both the walls and roof are one-piece panels, reducing the possible sources of water leaks, and, naturally, everything has an insulation component. 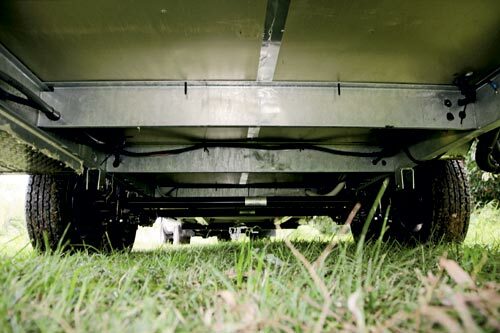 Underneath the body, the chassis is galvanised steel which rides on tandem-axle leaf-spring suspension fitted with a Trailair Equa-Flex equaliser – this acts as both a load sharer and shock absorber between the leaf springs. One of the biggest surprises of this van is its unladen ball weight. Given the Tare weight is 2050kg, the 56kg ball weight seems disproportionate. I did not have the opportunity to try out a fully-laden test but it would be interesting to see how it performed with a full tunnel boot and water tank, as the latter is forward of the axles. With an ATM of 2400kg, the van has less than the usual 400kg load capacity but that means it fits in the Toyota Prado’s 2500kg towing capacity class. 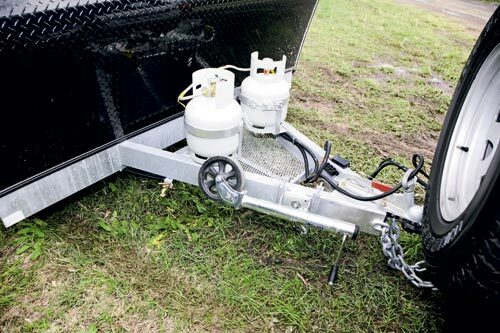 Despite the light ball weight, I did not notice any particular problems when towing and I did spend time on both the blacktop and rough road surfaces. Indeed, the van seemed very well-behaved. The cabinetry and general décor is an interesting mix of Australia and America. The light hue of the timber stain, square look of the cabinetry and the kitchen tell one story, while the window pelmets, shower cubicle and tinted sliding windows tell one from the other side of the Pacific. 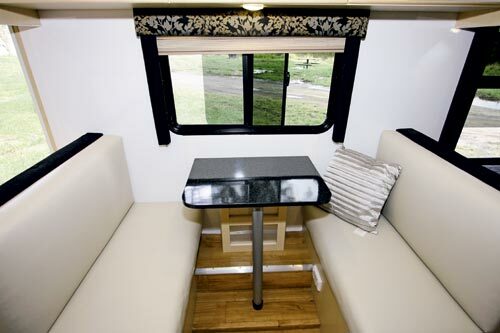 Fortunately, it’s a mix that works well, although the flat leather upholstery of the dinette seats looks a little plain. One of the stand-out features of the kitchen is the three large drawers and overhead lockers. 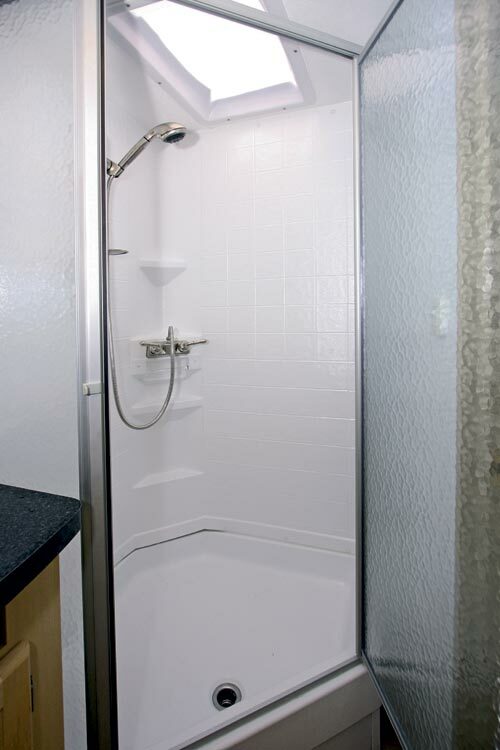 There is also an under-bench cupboard but this houses the hot water heater and sink bowl. 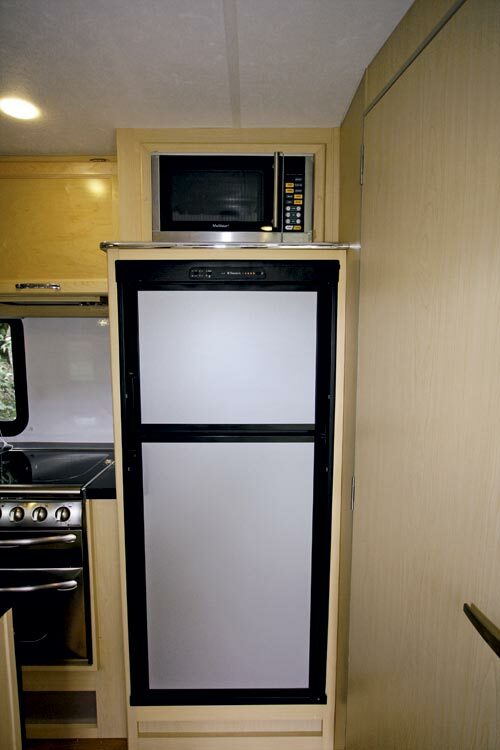 Despite the four-burner cooktop/grill/oven and stainless steel sink with drainer, there is a moderate amount of benchtop space and room for a 186L three-way fridge with microwave above. This sits between the end of the kitchen bench and the bathroom wall. Above the kitchen sink there is really only one locker and the forward end has been slightly recessed to accommodate a swivel arm-mounted flatscreen TV, which can be seen relatively easily from either the bed or the dinette. Up front, the single beds are slightly different lengths at 1.93m (6ft 4in) and 1.98m (6ft 6in) in length and tapered widths from 0.89m (3ft 4in) to 0.66m (2ft 2in), but these should still suit most couples. 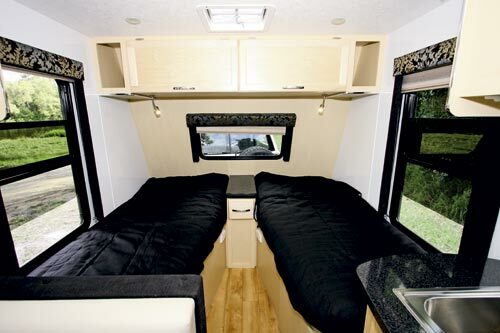 There is a single low cabinet between the beds and the overhead lockers have an open compartment at each end. Under-bed access is by way of floor locker doors, and each bed has a powerpoint nearby. There probably isn’t a great deal of room for it, but I would have liked a small corner shelf for each bed. 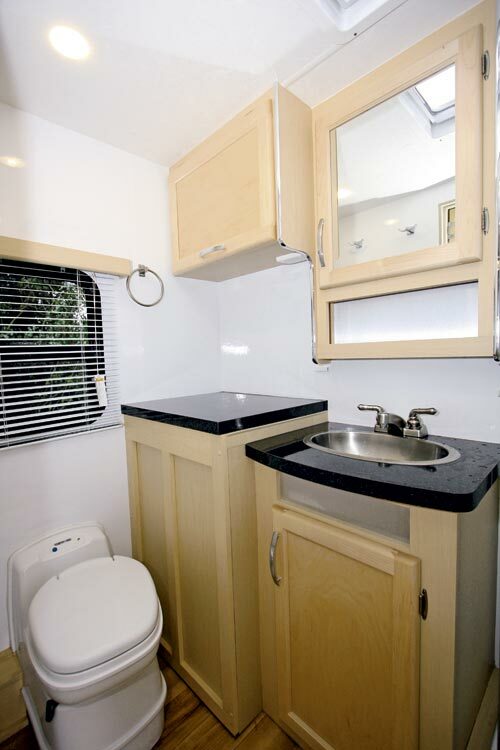 At the other end of the van, the bathroom has a slightly offset shape to allow for the entry door. 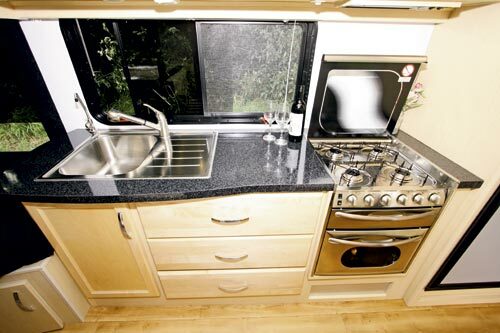 But there is room for a nearside shower cubicle and other essentials such as the central vanity cabinet, offside corner top-loading washing machine and Thetford cassette toilet. It’s a bit of a tight fit but there is still room to turn around. I thought the Talvor 565A was an interesting example of what happens a van designed in Australia is built overseas by a manufacturer with different ways of doing things. 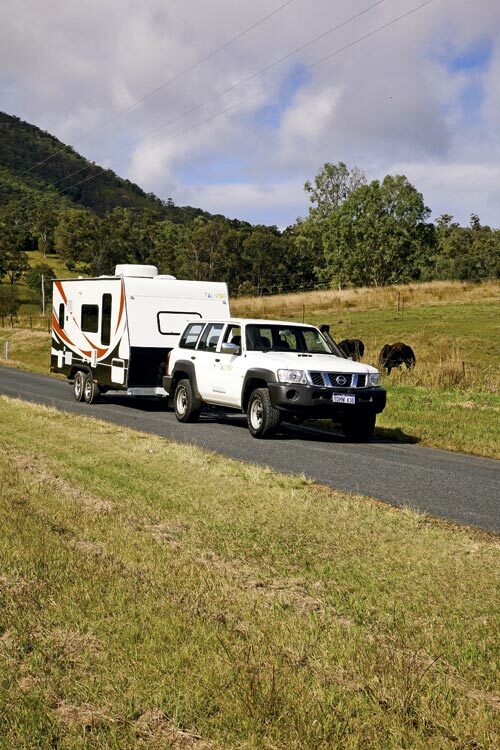 Everything has meshed well together and the result is a very liveable caravan with an attractive price tag that can be towed by a wide range of vehicles.